One of our true superstars of non-fiction. A terrific presentation! Lewis is as thoughtful in person as on the page. The event was wonderful--and everyone enjoyed hosting Lewis. 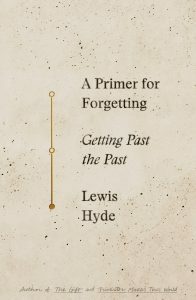 "In A PRIMER FOR FORGETTING, that bold yet gentle intellectual adventurer, Lewis Hyde, harrows the bottomless mysteries of memory and forgetting, trauma and recovery, amnesia and commemoration, reconciliation and forgiveness. If this deep, poignant, soulful, inquisitive, gently tragic and disarmingly erudite book were nine times longer, I would still have felt sad when I realized it was coming to an end." His book, Trickster Makes This World, uses a group of ancient myths to argue for the kind of disruptive intelligence all cultures need if they are to remain lively, flexible, and open to change. 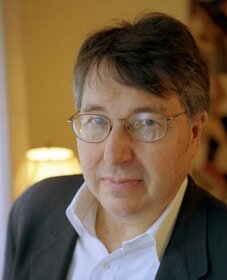 Trickster is “Lewis Hyde’s second masterpiece” (Margaret Atwood, Los Angeles Times Book Review). His new book, A Primer for Forgetting, explores the beneficial uses of forgetfulness in myth and politics, in art and spiritual life. 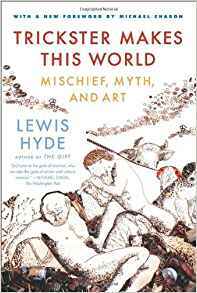 Drawing material from Hesiod to Jorge Luis Borges to Elizabeth Bishop to Archbishop Desmond Tutu, from poetry and legends to very real and recent traumas both personal and historical, A Primer for Forgetting is a unique and remarkable synthesis that only Lewis Hyde could have produced.